There are more musicians who have died unknown than the ones we have come to know. For many others, they spend many years as upcoming singers before they finally make it to the top. The story is different for Nelly Furtado who, with just her first album in 2000, she did not only record financial success globally but went home with a Grammy Award. Less than 2 decades later, the Canadian singer and songwriter has six studio albums, one live album, and three EPs to her name. It was as Nelly Kim Furtado that the singer was born on 2 December 1978 in Victoria, British Columbia, Canada, to Maria Manuela Furtado and António José Furtado. Her parents were originally Portuguese from the Azores who moved to Canada in the 1960s. She was brought up alongside her brother Michael Anthony and sister, Lisa Anne. She began singing since she was just 4 years old. At the time, she performed a duet with her mom in church. However, it was when she turned 12 that she began writing songs and started recording when she was 16. While growing up, Furtado fell in love with hip hop, thanks to the influence of people like Ice T, LL Cool J, and Mary J. Blige. It was because of this that in 1995, when she met Tallis Newkirk who was in the hip hop group Plains of Fascination, she found it easy to contribute to the track Waitin’ 4 the Streets in the Join the Ranks album. The next year after she was done with her education from Mount Douglas Secondary School, she began a trip-hop group. However, the group did not last too long as she soon left to go back home where she registered for creative writing, something she always loved, at the Camosun College. In 1999, she was on the Honey Jam talent show and thanks to her excellent performance, she was spotted by Gerald Eaton of The Philosopher Kings who together with fellow bandmate, helped her record a demo. Eaton and West would later work with her and produce her debut album, Whoa, Nelly! released in October 2000. Her next album, Folklore came in 2003 and then Loose in 2006. In 2009, she released Mi Plan, then The Spirit Indestructible in 2012, and The Ride in 2017. Having been in the music scene for more than two decades, Nelly Furtado has achieved quite a lot. With her first album, Whoa, Nelly!, she got 5 Grammy nominations and won for Best Female Pop Vocal Performance with I’m Like a Bird. Her career continued to be very successful with millions of albums sold globally and many awards to her name including a Billboard Music Awards, 3 Billboard Latin Awards, 3 Festival de Viña del Mar, and 10 Juno Awards. In total, she has 6 studio albums, 1 live album, 2 compilation albums, a video album, and 3 EPs. 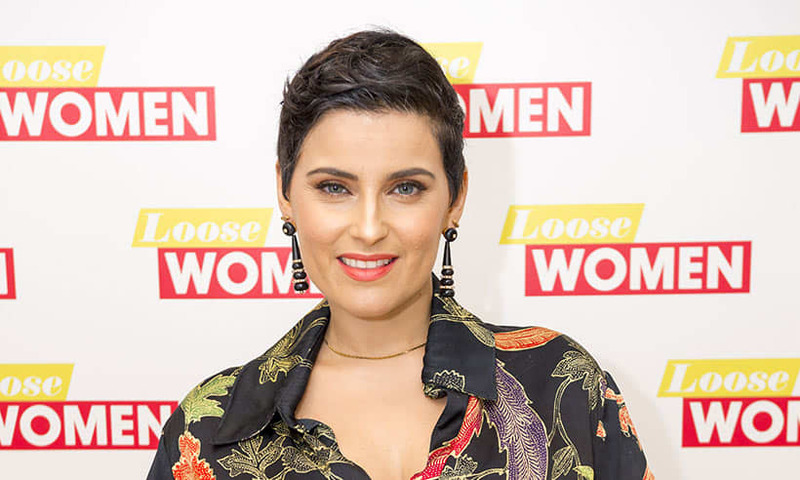 Since 2006 when the Promiscuous singer released her chart-topping album Loose which recorded a sale of more than 12 million copies, Nelly Furtado has not been able to match that feat again. That said, she has achieved so much in her career thus far and it is thanks to this that she has a net worth of $35 million. Beyond just making money, she is also known for her philanthropy. In 2007, she performed at a private concert for former Libyan leader Muammar Gadhafi. From the performance, she made a million dollars which she later gave to charity. There is no denying the fact that the singer is a very beautiful woman. Interestingly, she is not one known for dating too many men. Her first known relationship was with Jasper Gahunia whom she dated from 2001 to 2005. The relationship produced a daughter Nevis Gahunia who was born on the 20th of September 2003. The next man in the life of the singer was Demacio Castellon whom she began dating in 2006. At the time, the two were working on the Loose album of the singer. In 2007, they were engaged and finally tied the knot in 2008. The union lasted until 2016 when it was reported that Nelly Furtado has split from her husband. After more than 8 years of marriage, the two did not have any child together.